OnePlus has started the rollout of Android 8.1 Oreo-based OxygenOS 5.1.0 OTA update to its 2017 flagship smartphones- the OnePlus 5 and the OnePlus 5T. The OTA update is an incremental one which means that it will receive a small percentage of users today. OnePlus will start the broader rollout in a few days. But for those who don’t want to wait for the update, install a VPN application and change the location to Germany or Canada to receive the update right away. OnePlus has recently confirmed the 8.1 Oreo update rollout for the 5 and 5T will happen in a few days, while the OnePlus 3 and 3T users have to wait until mid-2018 for the update. Notably, the OnePlus 5 and 5T will receive Android P update later this year, while the Android 8.1 Oreo update will be the final one for the OnePlus 3 and 3T users. The OxygenOS 5.1.0 update for the OnePlus 5 and 5T adds all the features of the Android 8.1 Oreo introduced by Google. The update also brings April 2018 security patch fixes, which was also rolled out with the latest OxygenOS Open Beta version. For the OnePlus 5T, the company has added the support for full-screen gestures, but the OnePlus 5 misses out on the same. 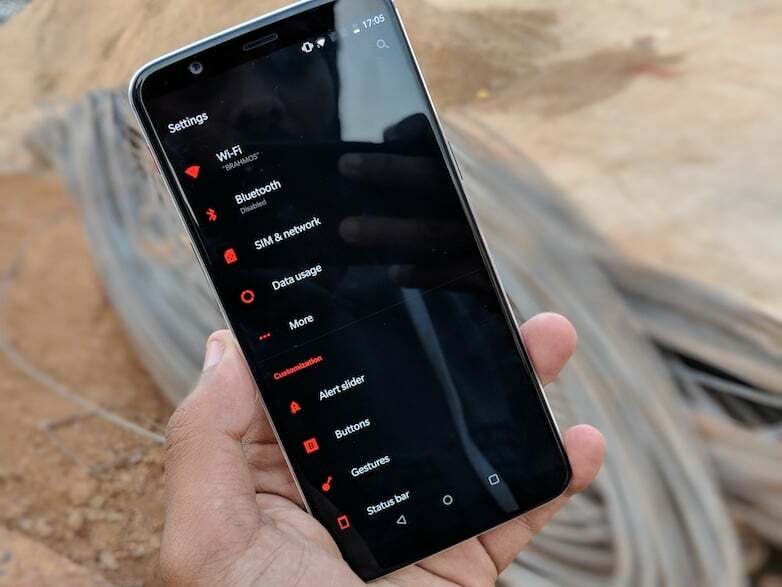 OnePlus has made some changes to the Gaming mode, which now has a Network Boost mode that saves network priority for gaming App in the foreground. Also, there are some new optimisations in the gaming mode including power saving and pausing adaptive brightness. The OnePlus launcher now offers category tags in the search section of the app drawer. Also, the launcher received the ability of auto-naming a folder based on the category when you group them. These are the new features included by OnePlus in the latest Android 8.1 Oreo update, and as stated earlier, the update is currently rolled out to a small batch of users, while the broader rollout will begin in a few days.